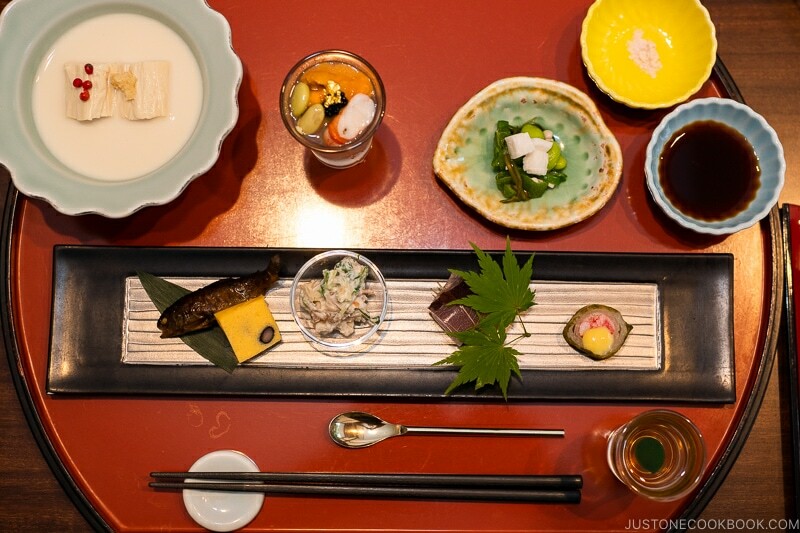 What are some important table manners in Japan you should avoid? 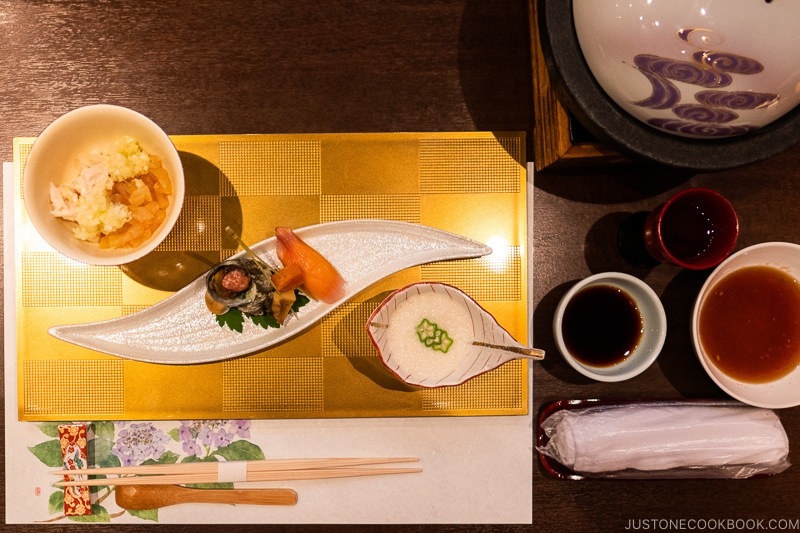 Here’s a friendly guide to help you give the Japanese dining etiquettes your best shot! You’ll learn why are things done in certain ways and gain a better understanding of the customs. You asked, I’ve responded! Thanks to your inquisitive minds, I received a flood of questions as well as personal horror stories. 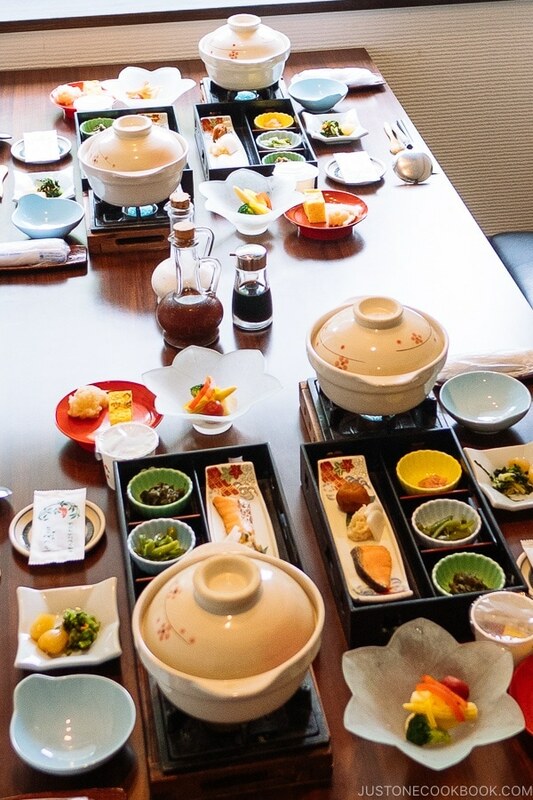 So, following up to our articles on Japanese Dining Etiquette 101 and 20 Things You Should Know Before Visiting Japan, here’s my attempt of answering all of your questions, Part 2 of the Japanese Dining Etiquette guide! Why are chopsticks placed horizontally and not vertically? In Japan, chopsticks are always placed horizontally, with the pointed ends on your left so that you don’t touch them when you grab the chopsticks with your right hand (and vice versa for the lefties). However, you may notice that our neighbors, China and Korea place their chopsticks vertically. 1) It’s considered rude for the tips of the chopsticks pointing at the person sitting across from you, especially when the chopsticks have been used. 2) Chopsticks serve as a boundary between you the eater and the food in front of you. Ancient Japanese beliefs say that food is provided by the gods, and so chopsticks separate the food (pure) from the humans (impure). Where should I place the chopsticks when they’re not in use? Don’t rest the chopsticks on any bowl or plate in front of you. If the chopsticks didn’t come in a paper wrapper, lay it directly on the tray your food came to you, or on the table. Once you’re done eating, return the chopsticks back in the paper wrapper, or place on the chopsticks rest, or if none are available, directly on the table/tray. What is the role of Oshibori and what’s the correct way of using it? 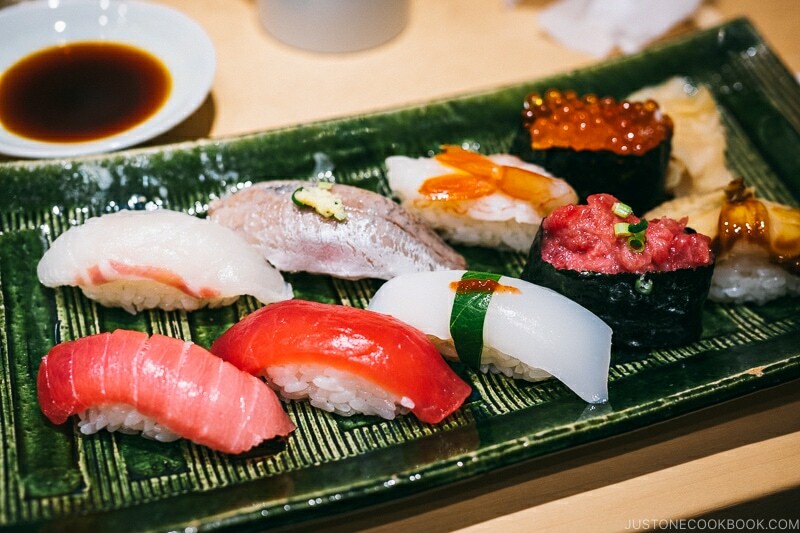 You may have encountered Oshibori (おしぼり) at Japanese restaurants or on your flight to Japan. They are wet hand towels, either paper disposables or towels that may be piping hot or cold, depending on the season. Usually, they are unscented but some places may be lightly scented. The word is composed of “O” 御 (an honorific prefix) and the verb “Shiboru” 搾る (to wring out). Oshibori are used to clean your hands before a meal, or if you’re in a high-end restaurant, may be refreshed with a new one at the end of a meal. 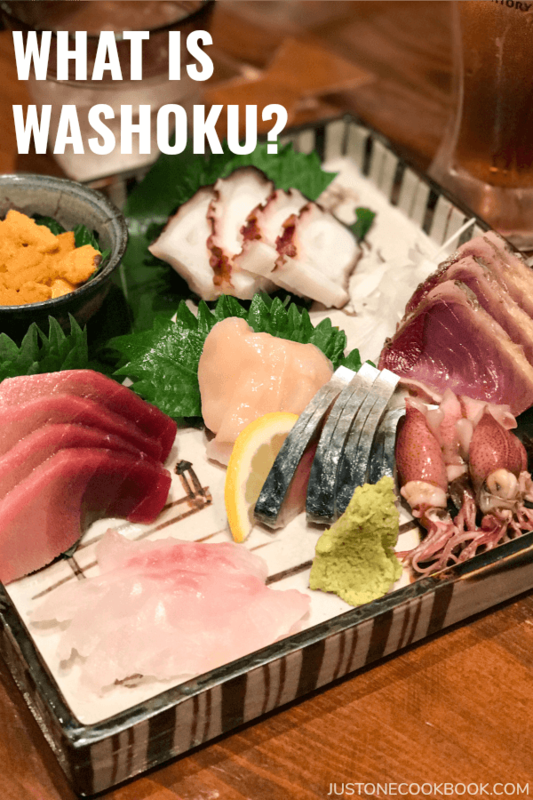 While it may be tempting to use an Oshibori to wipe the sweat from your face or neck or to wipe off the food remnants on your chopsticks, this is considered inappropriate. After using the Oshibori, fold it neatly and place it on your right (if right handed, left if left handed), or on the individual tray it came on. If you need to wipe your hands during the meal, feel free to use it again. Unlike a napkin in a western meal that you’ll use to wipe your mouth or dirtied hands, your oshibori should always be kept clean. If you accidentally spill liquid or food on your table, do not use the towel to wipe it off. Instead, ask the waiter for paper napkins or if you have tissue paper on hand, use that instead. Where should the bowls of rice and soup be placed? 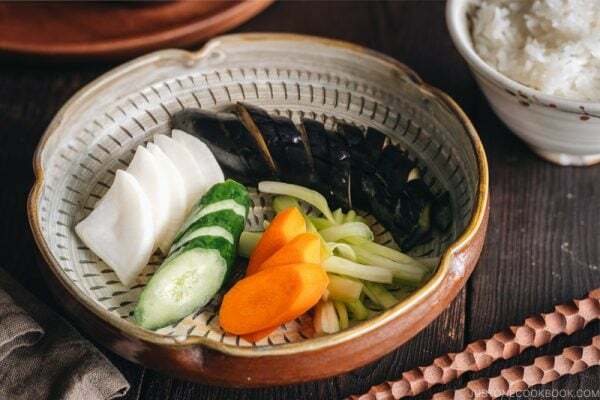 In a Japanese meal, the bowl of rice will always be on the side opposite of your dominant hand, so on your left (if right-handed) or right (if left handed). The bowl of miso soup will be placed on the other side of the rice bowl. There are several theories on why. The easiest one to remember is that your dominant hand (holding the chopsticks) should never hover above your rice bowl. Rice is the most respected food of all, that Japanese children are taught that leaving grains of rice will make them go blind, or that it’s rude to the rice farmers (I hear those other rice-eating countries such as China and Korea have similar sayings). The act of hovering/straddling 跨ぐ is highly looked down upon, whether you hop over something respected and treasured such as kimono, a bag of groceries (see above on food being provided by the gods), or a sleeping person. An anecdote: when I was younger, I stepped over a pile of stacked books at my grandparent’s house to get to the other side of the room. In my defense, the books were in the way but not stacked up too high, so stepping over was more convenient than going around them. My usually sweet natured and gentle grandmother was horrified of my act and gave me the scolding of a lifetime I will never forget. Even if it may seem convenient, never ever hop over people or things deemed respectable. 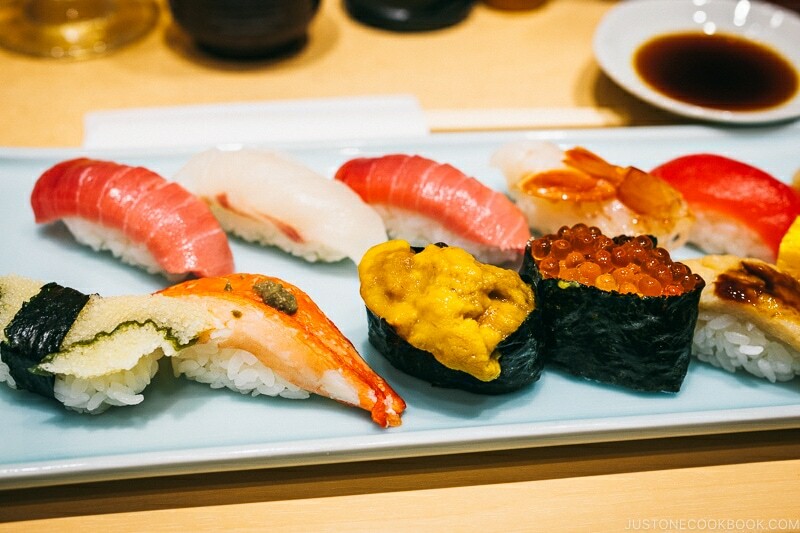 What’s the correct way to eat sushi: with your fingers or chopsticks? The short answer: both are acceptable. Some sushi masters are notorious for requesting their customers to eat using their fingers, believing that “it tastes better.” They say that using your fingers will prevent the shari (the rice) from crumbling, which happens sometimes when you pick up sushi with your chopsticks and squeeze too hard. However, this does leave you with sticky and fishy fingers (which is when you use your oshibori to wipe off). So the verdict? It’s a preference thing, so use whichever you’re comfortable with! When eating sushi, are you supposed to dip the fish in soy sauce or the rice? The soy sauce is for dipping the fish, not the rice. The rice has already been seasoned with sweetened vinegar, and the soy sauce is for seasoning the fish. 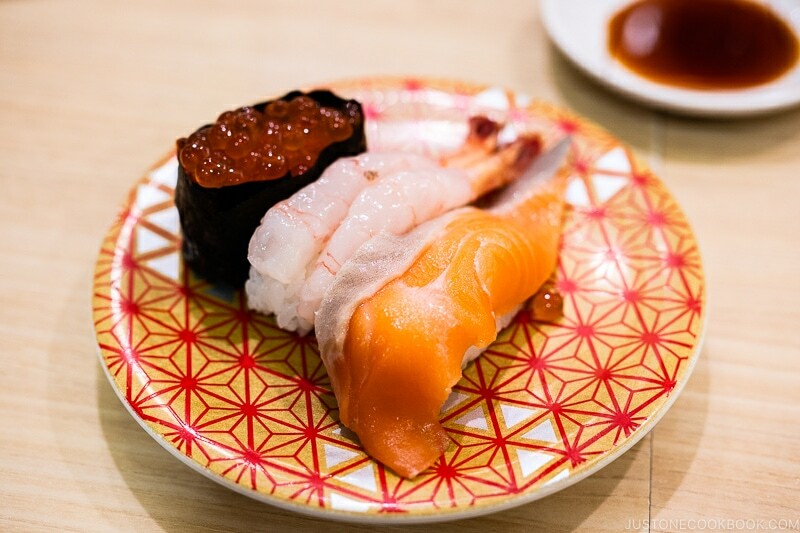 When picking up a piece of sushi, put it on its side, and lightly dip the fish into the soy sauce (which can be tricky!). Do not dunk the entire fish into the soy sauce; you are not drinking soy sauce. If you’re worried about the sushi falling apart, you can always use your fingers (see above). Listen to the sushi master or the waitress as there may be some sushi pieces that don’t need to be dipped in soy sauce. 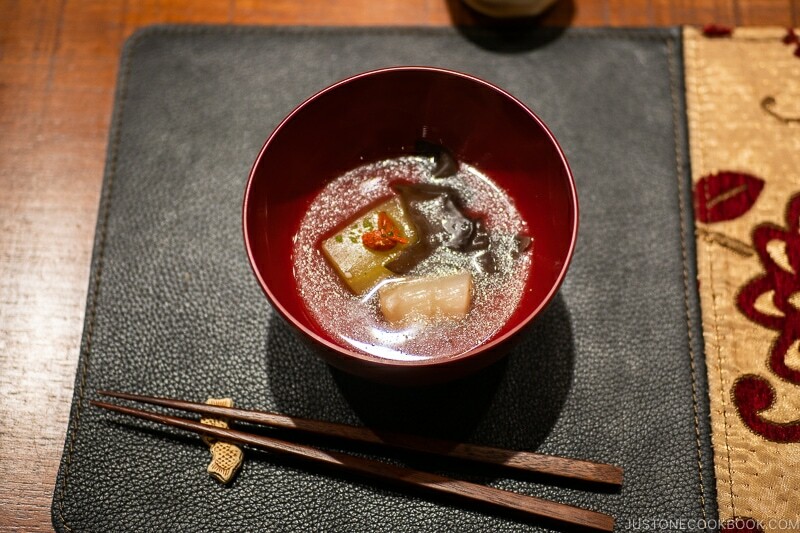 Squid is sometimes given a sprinkle of salt and Anago (boiled salt-water eel) is sometimes given a soy sauce glaze. Listen to their instructions, and if unsure, ask! What’s the correct way of putting Wasabi on your sushi? Wasabi, the fiery lime green spicy condiment is grated Wasabi (わさび) root, a Japanese horseradish. As it can only grow in clean water environments, it is an expensive crop. The cheap stuff you find in tubes or tubs are made with horseradish with food coloring and has a burning and strong aftertaste. 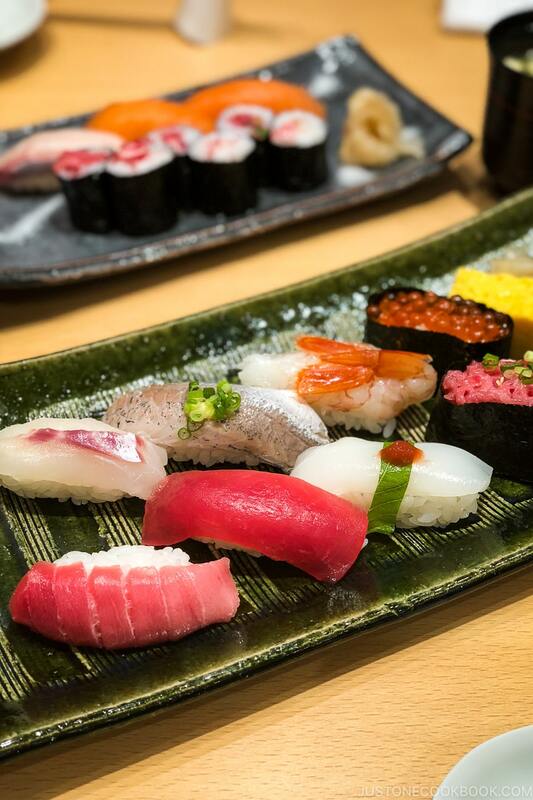 If you’re at a high-end sushi restaurant, never ask for more wasabi. This is a slap in the face for the sushi master, who has carefully grated the expensive produce by hand and has adjusted the right amount for each fish. By piling on the wasabi, you will break the balance between the fish and the wasabi, and the flavor of the sushi. 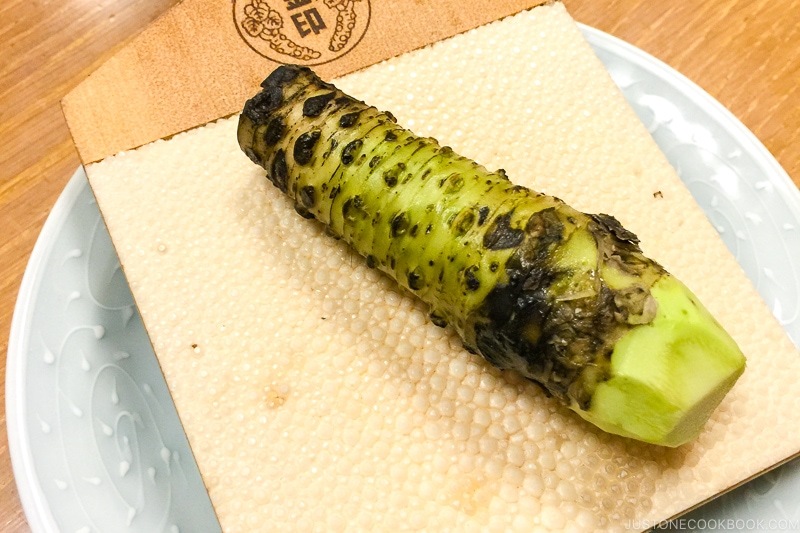 Real wasabi is fragrant and delicate, and it’s not supposed to give you a fiery kick like chili peppers. (If you’re seeking burning intense flavors, wasabi is not your answer). If you’re at a casual place or at home with supermarket sushi, do not mix the wasabi into the soy sauce to make a slurry. It looks messy. Although it’s a tedious pain, dab each piece with wasabi and dip into soy sauce. When drinking alcohol, are you supposed to fill each other’s glasses but never your own? This is more of a business rule than when with friends and family. The idea is that you should look out for each other’s glasses, and fill up if needed. However, don’t lunge for the bottle whenever your dining colleagues are about to finish, ask first! She/he may not want another drink, so don’t pressure the person into another glass. When getting your glass filled up with others, it’s okay to politely refuse someone from pouring you a drink after a few rounds and instead opt for filling your own. That way, you break down the formalities and give your colleagues a break from watching over each other. 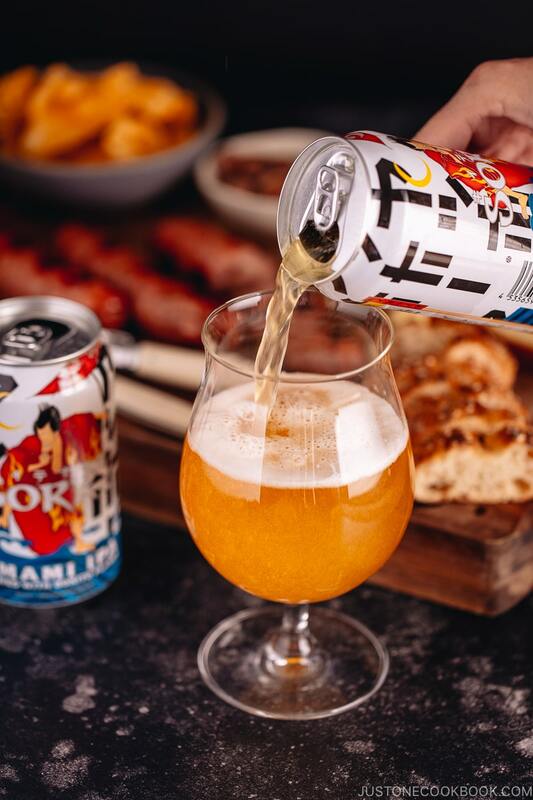 When you’re with friends and family, you may fill the glasses of the elders, but with friends, you may just pour your own to forgo the formalities. While you may jokingly pour and receive, keep it casual! 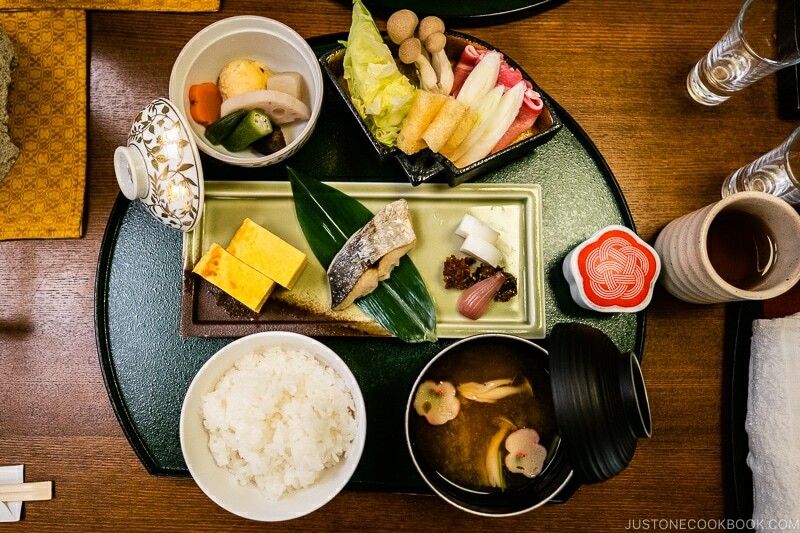 Confident to dine with Japanese friends or colleagues? 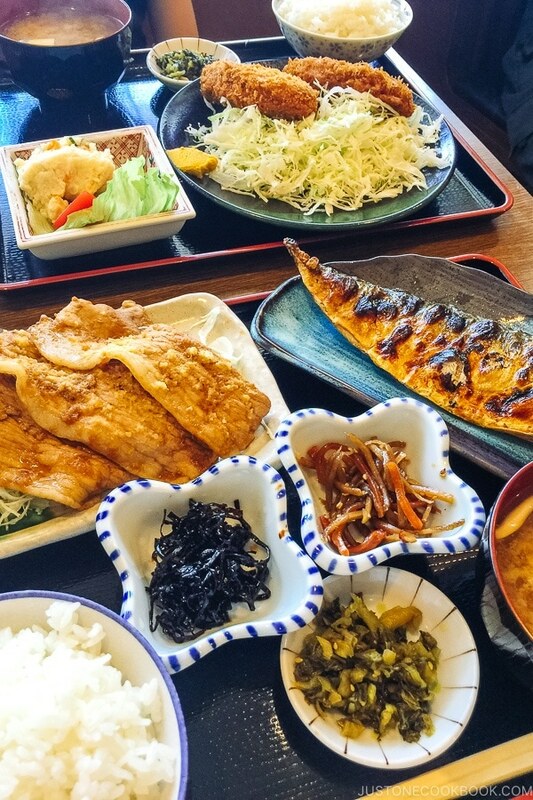 If you haven’t done so already, check out Part 1 of Japanese Dining Etiquette 101 as well as 20 Things You Should Know Before Visiting Japan for all things etiquette and guidelines! Wow!! I didn’t know almost any of this before! Definitely guilty of using the oshibori dirty as napkins in this country are not as absorbent or large as I’m used to. Very interesting and informative! Thank you so much for this wonderful article! 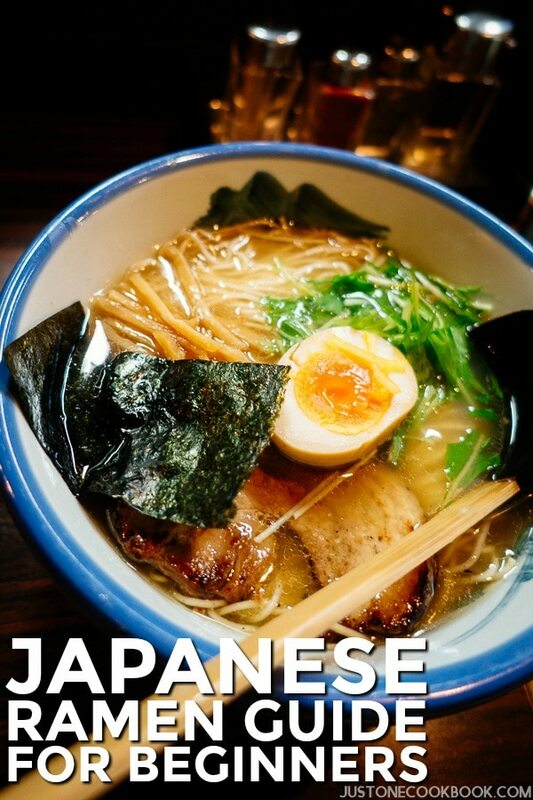 I’m so excited to share this with my culinary students before we take our trip to Japan! Hope the article was informative for you and your students! Please let me know if you have any additional questions or inquiries after your trip. Thanks for these Japanese etiquette tips! I have just shared them on my Facebook page. I just went back and read part 1 of your etiquette tips, and have a question that you have not answered in either post. How are you supposed to futomaki rolls, or other roll pieces that are too big to comfortably fit into your mouth in one piece? If I try to shovel it all in, my cheeks bulge out and I obviously struggle to chew. If I bit off half the futomaki piece, the seaweed wrapper is broken and the filling falls out of my chopsticks all over the plate. At business lunches, these things matter. My only solution so far is to stop ordering futomaki rolls or any other roll that looks like it’s going to have big pieces. 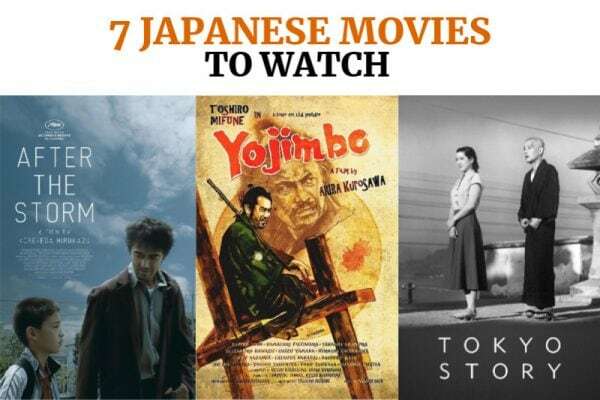 What do you recommend? Futomaki and big sushi pieces: Avoiding them altogether at business meetings is definitely one option. It’s ok to bite into it to break into two. You can do your best to keep the rest intact by holding it firm with your chopsticks and returning it back on your plate. Onigiri: I would say they’re more like portable food than finger food. Finger foods (in the Western dining context) refers to appetizers served at a party, whereas Onigiri started as portable foods for traveling. Whether they are the small balls packed in a bento or the pyramids sold at convenience stores, they do not require utensils. Eating while walking: Eating while walking is not looked well upon, although you do see the occasional onigiri or bread being munched on. Crisps would be a big no no. It’s more like a social protocol than a rule, so it’s hard to explain why but one reason I often hear is that when you are in the act of eating, you should be focusing on the food and not be preoccupied by something else (like walking) while eating. You don’t see people eating onigiri on the street much as they are consumed elsewhere, such as in a classroom, at the office, park, etc. Covering your mouth while chewing: You’ll see many women doing this, but not men. Your friend probably took a big bite of something and was covering her bulging mouth! Different etiquette rules for women than men: Sitting cross-legged is a no no for women. If you must, you should cover your legs with a cardigan or scarf. This is because during the olden days, as women wore kimono their legs were restricted and sitting cross legged would entail them to open up the flaps of the kimono (oh no! how unlady-like!) whereas this was ok for men. Another one is to use both hands when raising a glass to say cheers. One hand at the bottom of the glass, another holding the side/handle. While I’m on a role, I have a couple more Japanese etiquette questions for you. Onigiri: Are these finger food? The little rice balls that you would find in a lunch box are one thing. I am thinking more of the big seaweed wrapped pyramids that you can buy at a convenience store counter, for instance. Eating while walking: So, if you can eat onigiri by hand, what are the rules for casual snacking on the sidewalk while walking, the way we would eat a bag of chips while walking here? Allowed, or rude? My Chinese friends say that eating while walking is impossibly rude. Eating should be done sitting down and talking with people in their opinion. But . . . If onigiri are sold wrapped at a convenience store counter it’s almost inviting you to walk while eating with your hands. Your thoughts? 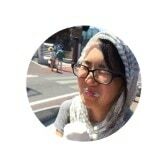 Covering your mouth while chewing; I have noticed that my Japanese friend covers her mouth while she chews her food. Is that just her, or is that considered polite? Are there different etiquette rules for women than men in a business meal context? Thanks for any insight you might have to share with us! I love your blog. Thanks for educating me and many others ナミさん. I value your postings because you show not the recepies but cultures, travel, shopping (Japanese goods/ kitchen etc…)and other topics. Keep up with good works. These are great! Thank you for sharing! Is there a polite way to ask the chef how you should eat a certain dish? I recognize that “How do I eat this?” could potentially come off as rude. Hi, I have a question after reading this, and visiting a new sushi restaurant in my town near Atlanta. The chopsticks were already on the table, wrapped in a napkin. (they were the wooden type in a paper wrapper). Once seated, we were all brought out a small plate. Some people at the table were not getting sushi, and we ordered Tempura for the kids. Was the dish they brought out for us intended for our chopsticks, or was that for soy sauce? I didn’t use it for Soy sauce this time after reading this article. I know were in America, but I still want to “try ” to get most of the customs correct!